Besides new cards we are also launching FairMail’s new “Low Resolution Stock Photography Website”. This website is aimed at social media managers, bloggers and any other people and organizations interested in purchasing professional images for their work or private use. 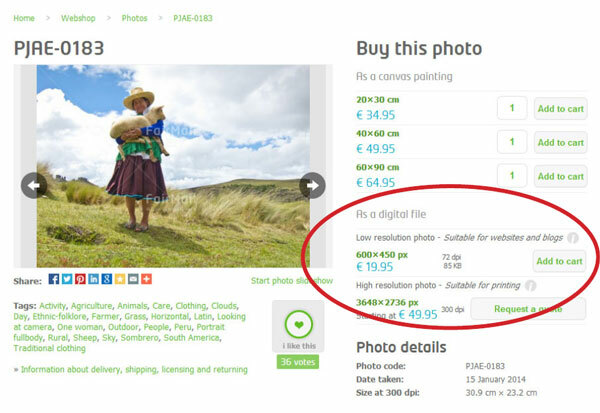 Nearly 10,000 fair trade images can now be downloaded directly from our website in low resolution* and clear of the FairMail watermark. • The images are easy to find with nearly 900 key words, in 5 different languages each. • The world’s only stock site with 100% fair trade images. • Payment, image download and invoice directly in your inbox with just a few clicks. • Fixed low price of 19,95 euro per image. • 50% of the profit FairMail makes goes directly into the education fund of the teenager who took the purchased image. • Including back ground information about teenager who took the photograph. Besides as low resolution photos the FairMail images are also available as high resolution photos for printing in brochures, flyers, greeting cards, magazines etc. Please request a quote by clicking here. We would like to thank Vevida for providing FairMail with free server space to store our images online.